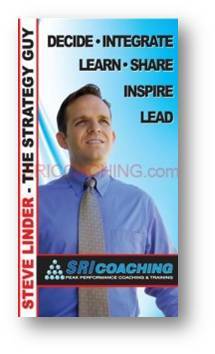 Steve Linder: Basics of Neurostrategies from Succesgids Vimeo on Vimeo. At the age of seventeen, Steve Linder began his career humbly, as a struggling waiter. By his early twenties, as a result of bad planning and following poor advice, Steve found himself unemployed and owing over $35,000 in debt – on the verge of bankruptcy. Through finding quality mentors, and making several important realizations about the power of personal choice, Steve quickly developed a plan for his life. He began the process of taking full and total responsibility for his career and, within months, he was running his own company, serving the country governments in California. Two years later, he was not only leading technology efforts on b ehalf of the California State Department of Education, but also had a thriving consulting firm that served the private sector. Over the next five years, he quickly climbed the corporate ladder and led teams of hundreds of people for organizations such as Charles Schwab, Montgomery Securities, and NationsBank. He concluded his career in corporate America in 2000 as Vice President and Principal with Bank of America Securities. He had won numerous awards in the industry for innovation and leadership, all while being one of the youngest officers in each of the companies he served. While his strategies had provided him with the material wealth he could only have dreamt of only a few years before, Steve realized the difference between being financially successful and truly being fulfilled. Steve’s entrepreneurial nature drove him to leave Bank of America and found his own company; Electronic Investing Corporation. Steve and his team had as their goal a concept that had been deemed impossible for 85 years – to allow individuals to buy securities in dollar amounts instead of in share amounts. Steve knew that the only limiting factor in any endeavor is a limiting psychology. In 2000, just seven months after their incorporation, Steve and his team developed the solution and sold it to E*TRADE Financial for over $14 million. Through the merger of his company with E*TRADE, Steve was responsible for their mutual funds, private accounts, 529 education plans, dollar-denominated stock baskets, and stock IPO’s. Always asking himself the question, “How can I use my current situation to best serve?”, Steve was quickly promoted to the position of Chief Information Officer at E*TRADE. Following the attacks of 9/11, Steve realized his true calling was to serve on an even higher level. He left E*TRADE in late 2001 to devote his energy full time to Synergetic Results International (SRI) – the organization he founded and where he currently serves as Principal. Since 2001, Steve has been coaching executives, professional athletes, celebrities, military leaders, parents, and coaching organizations around the world. He also served as an International Performance Trainer and Crew Director with Anthony Robbins for over ten years. Having learned and used NLP (Neuro Linguistic Programming) since he was a teenager, Steve has been training and certifying individuals in NLP and NeuroStrategies since 2003. 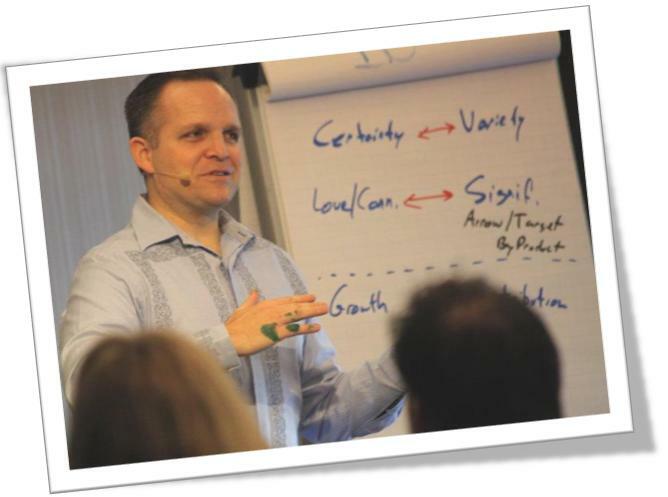 He is considered to have the highest standards world-wide for certification in NLP because of his ability to draw from his real world implementation of these strategies. More importantly, his students are regarded as “best in class” and are highly sought after for training by corporations, government organizations, professional sports people and teams, medical practitioners, and the military. While attending college at California State University and Golden Gate University, majoring in information systems and organizational leadership, Steve was researching the most successful and influential leaders of the day, including Warren Buffet, Jack Welch, Peter Drucker, Tony Robbins, and others. He realized that “success leaves clues” – more specifically, success leaves strategies. He came to a decisive point in his senior year of college when he realized that what he was being taught in school was not applicable in the fast-paced business world where he was excelling. Steve re alized that “his schooling was interfering with his education” and he pursued his own independent study full-time. He not only scoured university bookstores and libraries reading every MBA book he could find, but he explored human psychology and neurological studies as a means to understand “why we do what we do”. During his time in corporate America and on Wall Street, Steve was responsible, amongst other things, for overseeing technology. He discovered that most of the challenges were not technical in nature, but were “softer” – problems of human psychology. He focused on developing the skills of leadership; the far-reaching strategies that aid people and organizations no matter what the circumstance. His “leadership through empowerment” approach afforded him much time to coach dozens of companies in all stages of the corporate lifecycle. With every executive or organizational turn-around, he learned more ingredients of both failure and success. He took these learnings, and with his human psychology experience, he looked for “core strategies”. These core strategies led to what he now calls “NeuroStrategies” – strategies of the human mind. Today Steve sits on the board of advisors for numerous companies and is sought after by leaders in the world of human development for his expertise. His primary focus is teaching both individuals and organizations how to not only survive in the current global economic situation, but how to draw from time-tested strategies and really thrive. 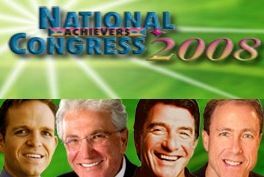 In 2008, he was invited to speak at the National Achiever’s Congress in both Malaysia and Singapore to over 8,000 people on the subject of integrating NeuroStrategies in their personal and professional worlds. His vision, and the vision of SRI, continues to expand with the same goals in mind; working with individuals and organizations to address the needs of financial, career, and personal advancement.